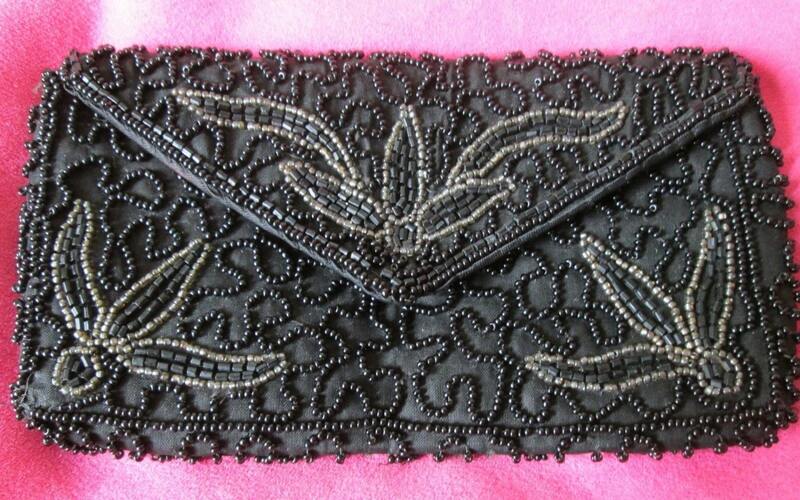 Gorgeous black beaded envelope-style clutch purse with snap front closure. 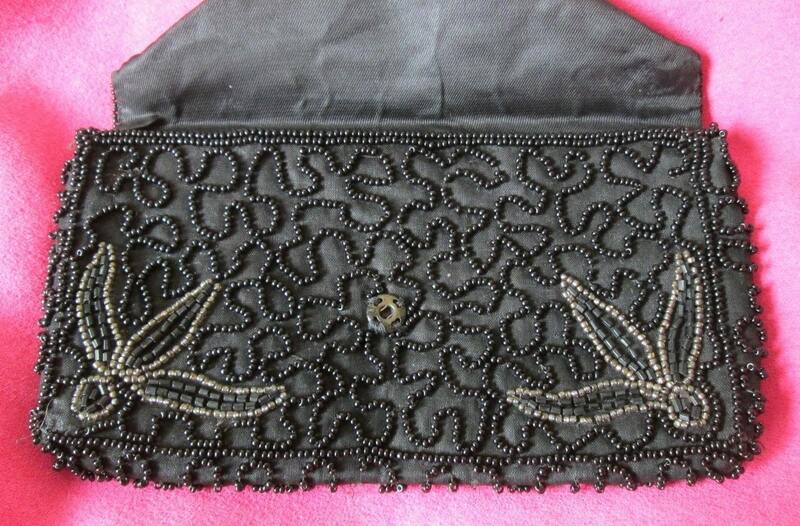 Handmade by famous vintage handbag maker, Walborg, in Belgium! Purse is in perfect vintage condition. All beads intact. 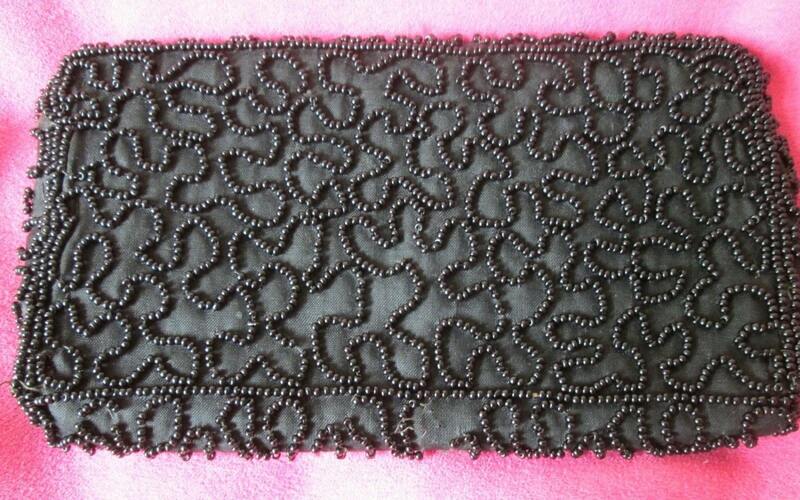 Black silk lining wonderful shape. Big enough to hold a standard cell phone, identification cards, and comb. From 1940's - 1950's. Dimensions: 7.5 inches long x 4 inches tall. Elegant and unique!